Winner The 2016 World Cheese Championship Contest, Emmi Roth’s Roth Grand Cru Surchoix was the first Wisconsin-produced cheese to do so in nearly 30 years. In 1865 Oswald Roth started exporting Swiss cheeses into the US. Fast forward to 1990 Roth Kasen USA is founded in Monroe, Wisconsin, becoming the first to install copper vats for producing Alpine cheeses and the first to begin using red pine wooden planks to age cheeses in the US. 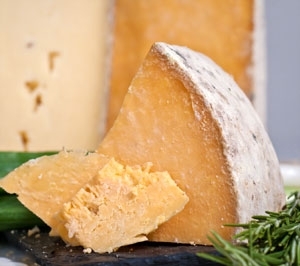 In 1999, the cheese you’re about to taste this month also took Best in Show at the American Cheese society competition. 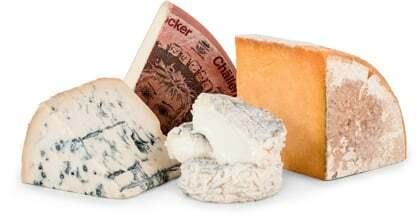 Grand Cru Surchoix is a small-batch cheese, made with the freshest raw cow’s milk in imported copper vats and aged in Roth Cheese’s cellars for at least 9 months. We really love the big roasted flavors of this cheese. It’s robust and full-bodied. Where a Comte cheese can have subtle nuances in its flavor profile, this cheese is like Compte’s big, burly, cousin. Look for caramelized onions, dark honey, and roasted nuts in the flavor profile. Savory and loaded with flavor crystals. It will pair nicely with Pinot Gris or Chardonnay.